I am what you could call a Chinay (Chinese + Pinay, Pinay meaning Filipino female). My grandfather is Chinese so my mother and her siblings grew up with many Chinese traditions. Whenever I come home, my visit is incomplete without visiting my Chinese relatives, Binondo, and the final resting place of my angkong (grandfather) and my uncle. Getting to the Chinese cemetery is an adventure in itself. Thank heavens I have my Tita Susan as a natural GPS! 🙂 Kuya Israel drove us through knee-deep floods so I could visit my family. Even though this isn’t a part of Chinatown I’m sticking to the cultural theme of this post. Every year I visit, I can remember the culture shock I had when learning (at 9 years old) how funeral traditions differentiated between Western and Chinese funerals. One, in particular, was that the family wore white. Another is the role of the eldest son (in the case of a father dying) in carrying his father’s portrait to his resting place – so he doesn’t get lost in the after life. Visiting requires incense as we pay respects through the colloquially called hahapopi. Visitors hold their hands together with the incense and bow as a sign of respect. Also, Buddhists practice Hahapopi in temples, similar to prayers in Catholic traditions. When touring, you work up an appetite. 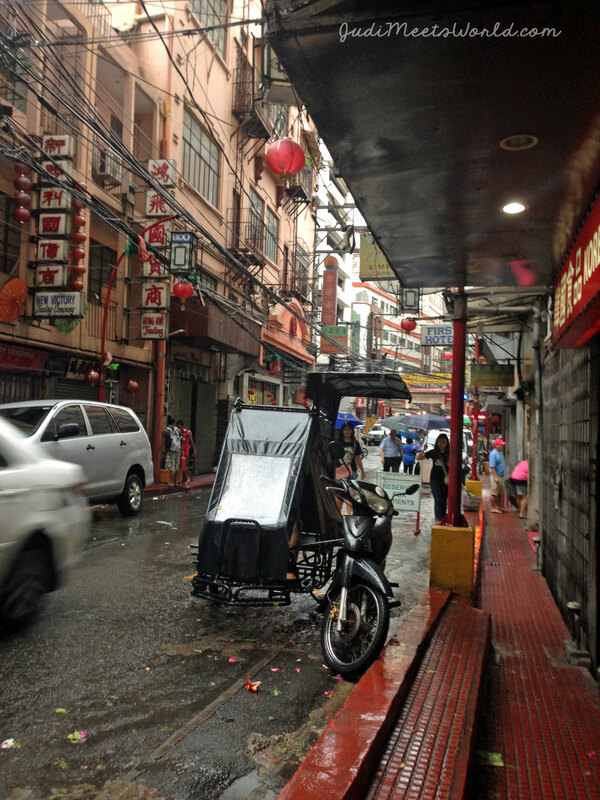 A visit to Binondo (Manila’s Chinatown) was a sure cure to our grumbling stomachs. We stopped by a Hap Chan to have a quick lunch before exploring on foot on Ongpin Street. My family history is riddled with stories of my mom and aunt, who spent afternoons wandering this region. One of the greatest reasons I constantly visit Ongpin is to have that connection with my heritage. While I cannot speak in my family’s dialect, I can at least immerse myself in our history. Walking in the same area as my mother had in her youth really strikes a chord each and every time I’m there. For new visitors, take a stroll through Ongpin St. and visit the many shops. Cross the bridges and try to strike a bargain with local shopowners. Here, you can find everything from herbs and medicines, to fireworks, to classic Chinese gold. We even did a pit stop at the famous Salazar Bakery for some hopia! Yum! Grab yourself an Uber, a taxi, a bus, a jeepney, or a tricycle. Either way, come on an empty stomach! Order yourself some siopao, pair it with some mami noodles. Have a lauriat meal while you’re here! Everything is budget-friendly and you’ll get an authentic taste of Chinese-Filipino dishes. 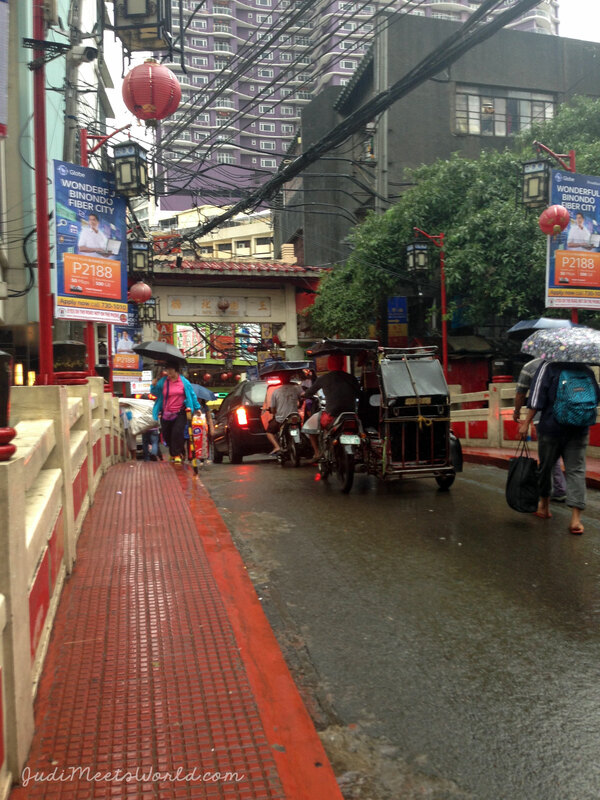 Enjoy Manila’ s Chinatown! Meet City of Dreams, Manila.